The first case relates to a Portuguese Competition Authority (PCA) 2009 decision establishing that Portugal Telecom (PT) had abused its dominant position in the wholesale and retail broadband access markets through a margin squeeze and a discriminatory rebate policy. Following that decision, NOS (PT's major competitor) launched a damages action with the Lisbon Judicial Court in 2011.3 In November 2016, the Court handed down its ruling, dismissing the case on the grounds that NOS had not sufficiently established the infringement. Nevertheless, this is a novel case in the Portuguese private enforcement landscape due to the infringement involved – margin squeeze – and also due to the Court's extensive reasoning and proximity to the jurisprudence of the Court of Justice of the European Union (CJEU). The second case is still pending before the Portuguese courts. It involves Sport TV, a Portuguese sports-oriented premium cable and satellite television network operating in the market for premium pay-TV sports channels, which was found by the PCA to have abused its dominant position for several years by imposing discriminatory conditions on operators, and concurrently having limited development and investment in the market. Following the decision, three separate damages actions were filed with the court, one of which is a class action, representing the first of its kind in competition matters in Portugal.4 The Portuguese court deciding on one of those damages actions has submitted a referral for a preliminary ruling to the CJEU. With Sport TV's actions pending, there are no clear-cut5 awards of damages on the grounds of competition law infringements to date.6 Nevertheless, there are already many general private enforcement precedents (even if competition law is typically only one of the legal angles in question), and the number of these is constantly increasing.7 In most cases, the competition rules were brought into the litigation sphere as a means of defence, most of the precedents having a vertical restraints nature,8 and often the validity of agreements or of particular clauses thereof is the leitmotif to call upon competition law. Despite following the Directive very closely, Law No. 23/2018 goes beyond it in certain aspects and contains some innovative solutions. it applies not only to damages actions for infringements of EU competition law (Articles 101 and 102 of the Treaty on the Functioning of the European Union (TFEU)), with or without parallel application of equivalent national rules (in Portugal, Articles 9 and 11 PCL), but also to damages actions exclusively based on infringements of the Portuguese competition law or of equivalent provisions of other Member States. In Portugal, this includes damages actions for abuse of economic dependence (Article 12 PCA). Regarding jurisdiction, Law No. 23/2018 introduced a major novelty within the Portuguese legal system. Before its entry into force, the competence to decide on private competition actions lay with the judicial courts, as there was no specialised court for such matters. Regarding damages actions, pursuant to the CC,23 the law applicable to extracontractual civil liability is the law of the state where the main cause of the damage occurred. If the law of the state where the harm occurred considers the defendant liable, while the law of the state in which the activity took place does not, the former will apply, on the condition that the defendant could have foreseen that the act or omission could result in damage in that state. Contractual liability cases are, according to the CC,24 ruled by the law agreed on by the parties, provided that such law corresponds to a real interest of the parties or is connected with some elements of the contract. Where the parties have not agreed upon a specific law, the applicable law will be the one of the state of their common residence or the law of the state where the contract was signed. Regarding the territorial jurisdiction of national courts, Brussels I25 on jurisdiction and the recognition and enforcement of judgments in civil and commercial matters and the Lugano Convention26 are applicable in Portugal. Whether the plaintiff has a direct contractual relationship with the infringing party is not relevant for standing purposes. Thus, even an indirect purchaser may have standing, provided he or she claims to have suffered harm as a result of an infringement of competition law. In this regard, no changes have been introduced by Law No. 23/2018. That is not true, however, as regards collective redress, as Law No. 23/201831 grants standing to associations of undertakings whose members have been harmed by a competition infringement when filing popular actions (which is not foreseen in the popular action legislation). Under the general civil procedure in Portugal, there is no discovery procedure as it is understood in common law systems. The courts have discretionary power to request the disclosure of information that they may consider important to the final decision of a given case from any of the parties or third persons. In competition cases, access to the PCA's files is regulated by Articles 32 and 33 of the PCL, according to which private parties may claim access to the PCA's file so long as the file is not protected by judicial secrecy. If the proceedings are covered by judicial secrecy, the parties involved may only have access to the file after the notification of the statement of objections by the PCA. Third parties shall only have access to the file after the final decision has been issued. Despite the lack of experience in Portugal concerning the use of experts in the context of an action for damage arising from a competition infringement, it is expected that in the future, such expertise will mostly be requested on economic issues (as an action for damages frequently requires a complex economic analysis), namely for the quantification of damages. The form of class action available for damages claims is the 'popular action' established in Article 52 of the Constitution of the Portuguese Republic and regulated by Law No. 83/95 of 31 August, amended by Decree Law 214-G/2015 of 2 October. According to that Law, citizens (companies and professionals being excluded) or associations or foundations promoting certain general interests (including the promotion and respect of competition) have the right to file a popular action to protect those interests. The claiming party will have the right to obtain redress for harm suffered in violation of the general interest concerned. The system provided for in the above-mentioned Law may be considered to be an opt-out system. Holders of the interests covered by the popular action that do not intervene in the action are notified through a press announcement, and shall decide whether they accept representation in that action. This type of action continues to be very rare, but in March 2015, a landmark follow-on class action for damages was filed by the Observatório da Concorrência, an association that represents consumers in class actions related to competition infringements, in civil court, based on a June 2013 PCA decision. In this decision, the PCA imposed a fine of €3.7 million on Sport TV, having found that it had abused its dominant position in the market for premium pay-TV sports channels for a period of at least six years by imposing discriminatory conditions on operators and limiting development and investment in the market. This much-anticipated case represents an important step forward in private enforcement in Portugal, as it is one of the first private competition cases, and the first class action in which damages for an infringement of competition law are being claimed. It is, however, still pending, following a decision by the court that Observatório da Concorrência has no standing to file the action being challenged. Law No. 23/2018 does not make any significant changes as regards the calculation of damages, as Portuguese law already complies with the main features of the Directive in this matter. Damages awarded are purely compensatory, as punitive damages are not commonly available, although doctrine and jurisprudence have accepted punitive damages that have been contractually provided for. The amount of the compensation to be awarded shall correspond to the difference between the current patrimonial situation of the injured party and the patrimonial situation of such party if the damage had not occurred. Monetary compensation includes the amount of the damage caused by the illicit conduct plus interest. Compensation covers the harm actually suffered by the injured party (actual loss, damnum emergens) and the loss of profit or the advantages that, as a result of the illicit act, will not enter the patrimony of the injured party (loss of profits, lucrum cessans). The loss of a chance can also be indemnified, in particular if expenses were undertaken in light thereof. The indemnity also allows for the compensation of moral harm suffered by an individual only, and future harm suffered that the judge may foresee. Despite the rules regarding the calculation of damages provided for in the CC, the judge has a significant amount of discretion. Considering the complexity of quantifying antitrust harm, assessing the exact amount of the damages may be impossible or extremely difficult in a given case. In that event, the judge may decide in accordance with equity, within the limits of the evidence produced. If the injured party has contributed to the occurrence of the injury, the court may decide, considering the seriousness of both parties' conduct and the consequences thereof, that the amount of the compensation shall be reduced or even totally excluded. In line with the Directive, Law No. 23/2018 expressly states that the defendant may argue that the harm allegedly suffered by the plaintiff has been passed on to the claimant.44 Law No. 23/2018 also provides that the court deciding on a private enforcement claim shall take into account proceedings initiated by parties at different levels of the production or distribution chain.45 Additionally, it includes three examples of factors to be considered by the court: (1) damages claims referring to the same infringement filed by the plaintiffs at different levels of the production chain; (2) public information regarding the enforcement of competition law by public entities; and (3) judicial decisions rendered in respect of the damages actions foreseen in (1) and (2). Judicial and administrative proceedings before the PCA are completely independent from each other, according to the constitutional principle of the separation of powers. In this regard, it is relevant to note that a large majority of the Portuguese private enforcement precedents (not typically claims for damages) are either stand-alone actions or hybrid actions partially related to the subject matter of a PCA decision but wider in scope. 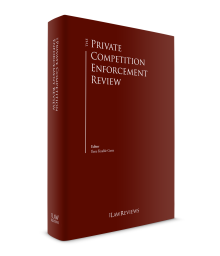 Therefore, the existence of a decision from the PCA establishing an infringement of competition law is not required for a private enforcement action to be initiated. The judicial court decides upon an action for damages arising from an infringement of the competition rules irrespective of any previous decision already issued by the PCA on the same matter and relating to any other pending proceedings. Under the Directive and Law No. 23/2018 (Article 6(4)), the judge may now suspend the procedure until a decision is reached by the PCA, stopping the clock for statute of limitations purposes. Attorney legal privilege is protected before judicial courts and administrative authorities (including the PCA) by the Portuguese Bar Association by-laws, and both external and in-house counsel are protected as long as they are validly registered with the Portuguese Bar Association. Some questions will arise when plaintiffs to an action for damages intend to access the PCA's files to obtain documents deemed necessary to sustain their action. Despite the principle of publicity, access may be denied by the PCA either in relation to certain categories of documents or to the entire file. The PCA may declare some documents confidential on the grounds of its obligation to protect business secrets49 or otherwise confidential information, including professional secrets50 (attorneys, medical doctors, bank secrecy, etc.). Documents submitted within the scope of a leniency application are also protected during the administrative proceedings.51 The PCA shall declare a request for immunity or for a reduction of the fine as well as all the documents and information presented by the leniency applicant as confidential. Access to those documents and information is granted to the co-infringers for right of defence purposes, but they will not be allowed to obtain copies thereof unless duly authorised by the leniency applicant. Access by third parties to these documents will only be granted when authorised by the leniency applicant. Before the transposition of the Directive, Portuguese law protected not only leniency documents (as is binding under the Directive) but also pre-existing documents. In this context, Law No. 23/2018 foresees that, for damages action purposes, only leniency documents are protected; for all purposes other than damages actions, pre-existing documents continue to be protected under Portuguese competition law. Therefore, a practical consequence of the Directive in Portugal is that, for the purpose of damages actions, pre-existing documents are not to be protected anymore. As regards joint and several liability, the rule is set out in the CC for infringements in which multiple companies take part, and therefore the rule provided in Article 11(1) of the Directive already exists. The same, however, is not true for the two exceptions provided for in Article 11(2) and 11(4) of the Directive. In this respect, Law No. 23/208 2018 has followed the text of the Directive, which is rather challenging for the Portuguese legal system as these exceptions may create conflicts with classic rules and principles of extracontractual liability. Unlike public enforcement by the PCA,55 there is no specific judicial settlement procedure available within the scope of a damages action. Any settlement between the parties during a court proceeding must be subject to confirmation by the court to have the value of a judicial ruling. Competition law issues can be resolved through private arbitration59 and, despite the fact that arbitration is in principle not public, there seem to be a number of precedents60 and at least one significant arbitral decision that was appealed before the Lisbon Court of Appeals and confirmed by such upper court in 2014 (declaring an abuse of dominance in the health sector). Under Portuguese law, there is joint and several liability in relation to actions for damages.69 Therefore, if the damage was caused by several persons, the plaintiff may recover the full amount of damages from any one of them. If one defendant pays the full award, he or she then retains a right of redress against the other defendants, claiming the corresponding parts from them. The contribution of each infringer is determined by the court on the basis of its individual guilt and the effects arising from it. As regards private enforcement, Law No. 23/2018 (under Article 5(5)) changes the general presumption under the CC (Article 497) that all infringers share equal guilt, replacing it, for the purposes of competition damages actions, with a market share-based allocation. The transposition of the Directive into the Portuguese legal system constituted an important legal development. Despite the fact that the general legal framework applicable to civil liability and invalidity of contracts already provided sufficient tools for private antitrust enforcement in Portugal, it is undeniable that some of the provisions introduced by Law No. 23/2018, both those necessary to implement the Directive and the most innovative ones, represent an important step forward. specific information systems to facilitate the intervention of the PCA in relation to observations on the proportionality of requests for access to documents included in its files as provided for in the Directive, and in relation to amicus curiae interventions pursuant to Article 15(3) of Regulation 1/2003, were introduced. This possibility already existed under general law, but the introduction of specific information systems is expected to make a major difference in the level of actual intervention of the PCA. A further information exchange mechanism set out in Law No. 23/201870 and relevant to private enforcement (although unrelated to the Directive) aims at facilitating the obligation set out under Article 15(2) of Regulation 1/2003, pursuant to which Member States must inform the European Commission of all written decisions where Articles 101 or 102 of the TFEU were applied. To date, this rule has rarely been enforced, and the new rule (introduced by means of an amendment to the PCL) states that the courts must inform the PCA, which will inform the European Commission. Despite these important steps forward, the dramatic increase in and uncertainty about court fees in Portugal as a consequence of the country's financial crisis, and the respective international bail-out at the beginning of the decade, pose a serious constraint to actions for damages, as they very much raise the financial risk in bringing such actions. Such increased risk (the extent of which is yet to be determined), together with the uncertainty of the outcome due to factors such as a lack of precedents, the passing-on defence and the Bar Association limits on contingency fees, may indeed act as deterrents to the development of actions for damages in the country. Considering the above and the fact that there is only so much public enforcement any competition authority can conduct, together with the importance of private enforcement for the overall level of compliance with the competition law in a developed economy, the PCA is likely to play an increased and friendlier role in the advocacy and promotion of private enforcement. As its public enforcement profile is constantly increasing and its leniency programme is bearing fruit (thus alleviating the fear that private enforcement could jeopardise the appetite for leniency), the PCA is now expected to follow in the footsteps of the European Commission by supporting private enforcement71 as a key complementary dimension of its mission. 1 Gonçalo Anastácio is a partner and Catarina Anastácio is a consultant at SRS Advogados. The authors would like to thank Rita Lynce de Faria, professor of civil procedure at Universidade Católica and of counsel at SRS Advogados, for her comments on this chapter, and Luís Seifert Guincho, from the competition law department of SRS Advogados, for his research support. 2 Both PCA decisions were also appealed. The first was annulled by the Court because the administrative sanction had become time-barred; the second was upheld by the Court, although the fine was reduced. 3 Around the same time NOS filed its action, Onitelecom also sued PT for damages. However, the case was first dismissed by the Lisbon Judicial Court on the grounds that the statute of limitations had expired. The Court applied the three-year statute of limitations foreseen in Portuguese tort law, and considered that the deadline started running from the day the plaintiff filed its complaint before the PCA. The Lisbon Appeal Court confirmed the initial ruling. 4 This is, in fact, the second class action in Portugal where competition law issues have been raised. However, in the first case, DECO v. Portugal Telecom, competition law issues were not discussed because the case was decided based on specific telecom rules. 5 Leonor Rossi and Miguel Ferro refer to the existence of one precedent, with the caveat that it can be argued as essentially an unjustified enrichment case (Revista de Concorrência e Regulação, No. 10, April–June 2012, p. 113). 6 There is already one very recent res judicata precedent, specifically for damages, as regards the PIRC (the unfair competition regime), under Decree-Law No. 370/93, of 29 October. 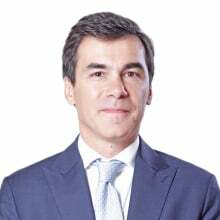 7 According to Miguel Sousa Ferro in Jurisprudência Portuguesa de Direito da Concorrência, Capítulo 7: Jurisprudência de Private Enforcement, there were 106 judicial rulings between 2011 and 2015, and there was an increment of 212 per cent more judicial rulings in 2015 than in 2011. 8 On these and other conclusions, see the above-mentioned paper. 9 The Portuguese Competition Law, approved by Law No. 19/2010, of 8 May. 10 The Portuguese Civil Code enacted by Decree No. 47344, of 25 November 1966, as amended. 11 The new Portuguese Code of Civil Procedure was enacted by Law No. 41/2013, of 26 June. 12 Article 1(1) and 2(l) of Law No. 23/2018. 13 Article 3 (1)(2) of Law No. 23/2018. 14 Article 3 (3) of Law No. 23/2018. 15 Article 9 of the Directive. 16 Article 7 of Law No. 23/2018. 17 Article 84(3) of the PCL. 18 Article 22 of Law 23/2018, which amends Article 112 of the Law on the Organization of the Judicial System (LOJS). 19 Article 22 of Law 23/2018, which amends Articles 54 and 67 LOJS. 20 Article 2(2) of the PCL. 21 Regulation (EC) No. 864/2007. 22 Regulation (EC) No. 593/2008. 23 Article 45 of the CC. 24 Articles 41 and 42 of the CC. 25 Regulation (EC) No. 44/2001. 26 Convention on jurisdiction and the recognition and enforcement of judgments in civil and commercial matters (2007). 27 Territorial jurisdiction is regulated in Articles 70 to 84 of the CCP. 28 Articles 59 and 94 of the CCP. 29 Article 483 of the CC. 30 Articles 11 and 30 of the CCP. 31 Article 19(2-a) of Law No. 23/2018. 32 Articles 12 and 14 of Law No. 23/2018. 33 Article 13 of Law No. 23/2018. 34 Article 17 of Law No. 23/2018. 35 Article 411 of the CCP. 36 Article 415 of the CCP. 37 Article 467 et seq. of the CCP and Article 388 of the CC. 38 Article 389 of the CC. 39 Article 19 of Law No. 23/2018. 40 Article 9(2) of Law No. 23/2018. 41 Article 9(3) of Law No. 23/2018. 42 Law No. 15/2005, of 26 January. 43 Article 101 of the by-laws of the Portuguese Bar Association. 44 Article 8(1) of Law No. 23/2018. 45 Article 12 of Directive 104/2014 and Article 10(1) of Law No. 23/2018. 46 Articles 7(1) and (2) of Law No. 23/2018(Article 9 of Directive 104/2014). 47 Article 74 of the PCL. 48 Article 6 of Law No. 23/2018. 49 Article 195 of the Criminal Code. 50 Article 195 of the Criminal Code and Article 87 of the Bar Association by-laws. 51 Article 81 of the PCL. Here the Pfleiderer doctrine will surely be very relevant. For a Portuguese language review and comment on the 2011 Pfleiderer ruling by the European Court of Justice, see Catarina Anastácio in C&R – Revista de Concorrência e Regulação, No. 10, April–June 2012, pp. 291–314. 52 Outside the leniency regime, protection for documents follows the general rule, as established in Articles 30, 32 and 33 of the PCL. 53 Article 32(1) of the PCL. 54 Article 32(2) of the PCL. 55 See Articles 22 and 27 of the PCL and respective commentaries by Gonçalo Anastácio and Marta Flores and Gonçalo Anastácio and Diana Alfafar, respectively, in Lei da Concorrência Anotada, Comentário Conimbricense, Almedina, 2013. 56 Article 283 of the CCP. 57 Article 289 of the CCP. 58 Article 594 of the CCP. 59 See Law No. 63/2011, of 14 December: the Arbitration Law. 60 See Leonor Rossi and Miguel Ferro, Revista de Concorrência e Regulação, No. 10, April–June 2012, p. 93 and footnote 4). 61 Pursuant to Article 277(b) of the CCP, the court will stay its proceedings in the event the parties reach an arbitration agreement. 62 Article 1(3) of the Arbitration Law. 63 Article 39 of the Arbitration Law. 64 Article 39(4) of the Arbitration Law. 65 Article 30(5) of the Arbitration Law. 66 Article 46 of the Arbitration Law. 67 Article 47 and 48 of the Arbitration Law. 68 As regards arbitration and competition law, see the following articles: Luís Silva Morais, 'Aplicação do Direito da Concorrência, nacional e comunitário, por Tribunais Arbitrais: o possível papel da Comissão Europeia e das Autoridades Nacionais de Concorrência nesses processos', Presentation at the Portuguese Competition Authority, 15 October 2007; Cláudia Trabuco and Mariana França Gouveia, 'A Arbitrabilidade das questões de concorrência no direito português: the meeting of two black arts', in Estudos em Homenagem ao Professor Doutor Carlos Ferreira de Almeida, Vol. I, Almedina, Coimbra, 2011; and José Robin de Andrade, 'Apresentação sobre a nova Lei de Arbitragem voluntária e a aplicação do Direito da Concorrência pelos tribunais arbitrais', in Revista de Concorrência e Regulação, No. 11/12, July–December 2012, pp. 196–213. 69 Article 497 of the CC. The government's legislative proposal is in line with previous legislation and jurisprudence. 70 Article 21 of Law No. 23/2018, adding an article (94o A) to the PCL. 71 This could, inter alia, include information on private enforcement; development and publicity on the website of a list of precedents on private enforcement; public availability for a role of amicus curiae; quantification of damages within public enforcement cases (already done under very limited precedents); and the development of training for judges and other magistrates that has occurred over the past decade.